Delve deep into the best theories and investigations the Ancient Aliens team have taken into extraterrestrial life. This collection explores the baffling ruins of Puma Punku, a structure that has seemingly no known architect and a face that is not quite human, the secret government files hiding alien contact with our astronauts, and why we have such a strange fascination with Mars. Are our myths and legends more than just stories? Are the gods and monsters merely alien life attempting to make contact with us? Are crop circles more than just a strange coincidence, but signs of contact from far beyond? 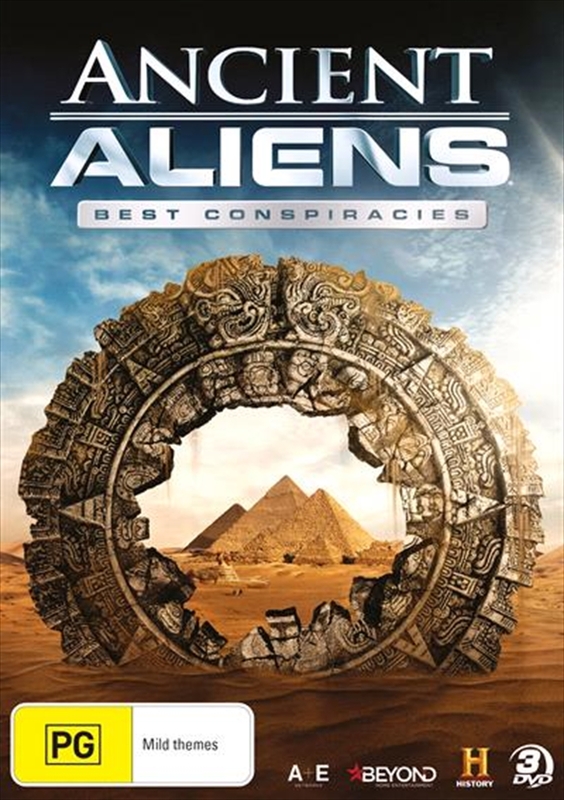 Including 2 never-before seen episodes from Ancient Aliens Season 11, this collection will begin to unravel our history and uncover wonders and mysteries that cannot be explained.